I was put on the double transplant wait list on Monday. I am grateful for the opportunity for a new and healthier life. I can only imagine what it will be like to be able to run and inhale a big deep breath again. I haven't felt like that since I was a teenager. 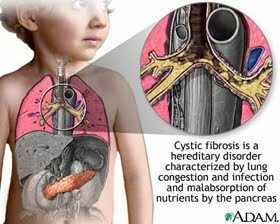 The cool thing is I won't have CF in my lungs anymore and that is something I have never experienced. I have always suffered with lung disease my whole life. It will be great not to have to cough or feel congested. I will have to admit I am nervous about the surgery and terrified for the call. I feel like I am getting sick again and I get depressed whenever I get sick lately. I think that is the time that the devil tries to take over my mind. I can't help but feel depressed and worried and I cry. I think about things way to much when I get sick, for example, this weekend I was a wreck when I went out with my friends Heidi and Lindsay. I had to go to the bathroom and have a good cry in the middle of dinner. Julie, this is Michelle Bridge Barrus, from the old neighborhood. I saw a link to your blog and had to see how you are doing. Congrats on the darling little family. We will be praying for you to get a successful lung transplant soon! I hope that you have a long and wonderful life with your precious family.